A typical feature of the terraced Victorian houses in London is the side return. This is the name generally given to the narrow strip of garden running along the side of the building from the kitchen to the main part of the garden. It’s generally narrow and, between you and I, more than a bit of a waste of space. You can see ours marked in green on our ground floor floorplan on the right. 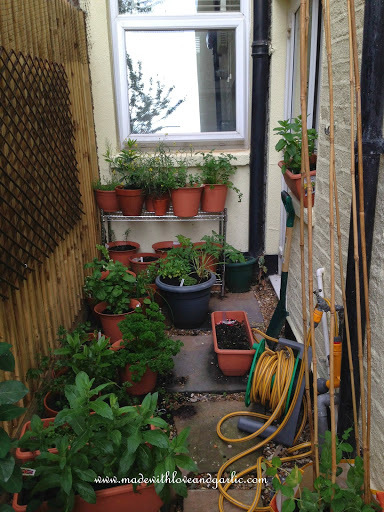 The herb garden occupying most of the back of the side return – easy access from the kitchen!